Today I’m not writing about plants, stones or landscaping. My pen, err typing, is dedicated to my best friend, my dog. Eleven years old she’s been here tail wagging day in, day out. You take it for granted that she’ll be around forever. Then everything changes. A lump in her leg… cancer. To be specific, a malignant, locally aggressive soft-tissue sarcoma known as hemangiosarcoma. Intensive googling and I’m an expert: common condition in dogs, left untreated it can get very nasty, if radiation is required its best to use a clinic with linear accelerated technology (more effective, less damaging). I find out that the tumor is a difficult surgery with a challenging outcome given its location on her elbow. Like everything, a plan is set in motion. First priority deal with the cancer, then healing. Two days later, the tumor is removed – isn’t pet care amazing? It’s been a difficult process – grieving, then HOPE. All changes with a call – fantastic news – the tumor is low grade and removed with a clean margin despite its location, no radiation required! Above all, never take a wagging tail for granted. Many thanks to the Mississauga-Oakville Veterinary Emergency Hospital: Dr. Gauthier, Dr. Halling, Dr. Sylvestre and the amazing team. Your expertise and personal care were so appreciated. Back to the dog days of summer. Tags: canine cancer;dogs | Permalink. Set up an outdoor movie area. Don’t forget the popcorn! Take a nap. Escape daily life and relax. The trick to enjoying a staycation is to deviate from your daily routines and truly make it a vacation. And, if you find your garden isn’t measuring up as a five-star staycation destination, now’s the time to consult with a landscape contractor. Tags: Choosing a landscape contractor, Garden ideas, Garden Landscape, Home and Garden, Landscape design, Landscape ideas, Landscaping, Landscaping Oakville, Staycation, Summer vacation, Swimming Pools and Spas | Permalink. The daylily is often called “the perfect perennial,” due to its dazzling colors, tolerance for dry soil, capability to thrive in many zones, and ability to endure in a garden with little or no care. Daylilies establish quickly, grow vigorously and survive winter with little or no injury. Many of the plants that we call lilies — canna lily, lily of the Nile, daylily and calla lily — are, in fact, not lilies at all. True lilies, such as the popular oriental, asiatic, and trumpet types grow from bulbs. The daylily belongs to the genus hemerocallis – an appropriate name, since each flower lasts one day. Daylilies thrive in full sun, although certain daylilies require partial shade, depending on their color. Lighter shades, such as yellow, pink, and pastels require the sun to bring out all of their color. Darker daylilies, such as some red and purple flowers, need shade because their darker colors absorb heat. Each daylily plant produces an abundance of flower buds that open over a long period of time. There are many varieties, a wide range of flower colors, and the flowers continue during the heat of the summer. Varieties with muliticolored blooms, often with a contrasting “eye,” or center, are increasingly popular. Daylilies have a relatively short blooming period, depending on the type of daylily. There are a variety of different daylilies; some of which will bloom in early spring, while others wait until the summer or even fall. Most daylilies bloom for one to five weeks, although there is a type of daylily known as a rebloomer, which will bloom twice in one season. Depending on the variety, heights range from 1 to 4 feet, with flower stalks on the tallest varieties reaching 6 feet. Depending on the species and cultivar, daylilies grow in USDA plant hardiness zones 1 through 11, making daylilies some of the more adaptable landscape plants. In the north, lilies should be planted in spring, spacing plants 1 to 3 feet apart. Daylilies are commonly used in perennial flower borders, planted in large masses, or as a ground cover on slopes, where they form a dense mat in just a few years. 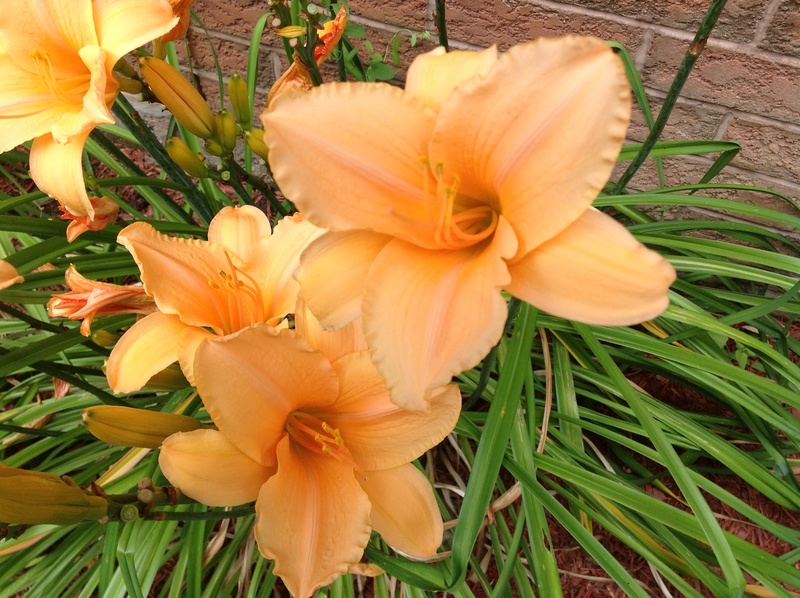 Daylilies should not be planted near trees and shrubs as they can compete for moisture and nutrients. Although daylilies are adaptable to most soils, they do best in a slightly acidic, moist soil that is high in organic matter and well drained. Tags: Award of Garden Merit, Daylily, Flower, Flower bed, Garden, Garden ideas, Landscaping, Landscaping ideas, Landscaping Oakville, Perennials, Royal Horticultural Society, Spring planting | Permalink. Does your garden measure up to its full potential? The purpose of your garden is very personal: a place to unwind after a long week, a hobby, a hub for family and/or neighborhood fun, a place to entertain, a source for food. Propagate some of your favorite plants. Layering is a form of propagation which involves bending a low branch or shoot down into soil level, wounding the shoot and then covering this portion with soil to encourage the root. It can then be severed from its parent to produce a new plant. If your garden isn’t measuring up, you may want to consult with a landscape contractor. Before you do, be sure to think about your goals and how you want your garden landscape to measure up. I’ve been asked far more times than I’d like to come in and fix past landscaping disasters. Quick fix services provided by less reputable providers or DIYs gone bad. 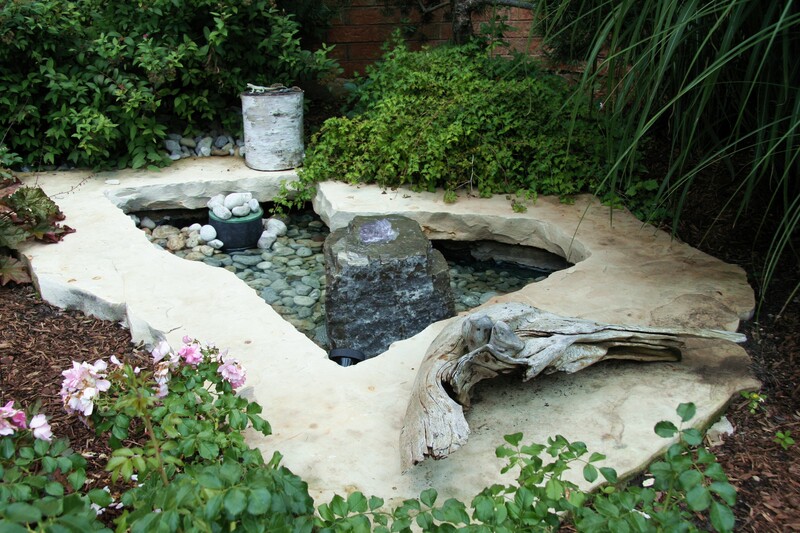 Ponds or water features that longer work or leak, landscape grading that settles in the wrong areas and improper drainage flooding homes. The sad reality is that the initial decision can cost the homeowner far more in the future through damage, and may require a new solution, ripping out the initial install and starting over. The bottom line: you get what you pay for. Do your research. Be sure to choose a quality contractor that has a proven track record. Tags: Choosing a landscape contractor, Garden design, Landscape Contractor, Landscaping | Permalink.